Not strictly Dambuster-related, but very interesting nevertheless. 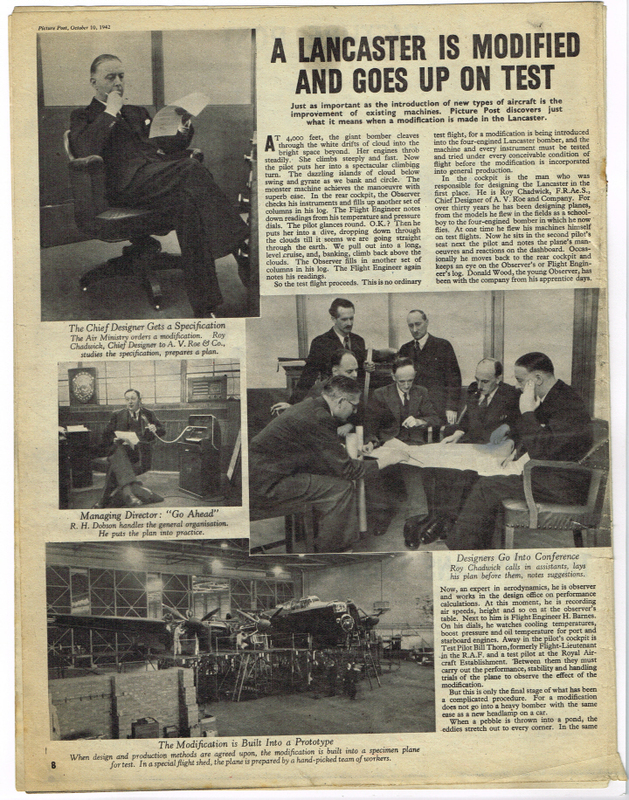 My friend Dom Howard’s foraging on Ebay has turned up yet another interesting artifact, in this copy of Picture Post magazine from 1942, with an article by Honor Balfour on how the Avro Lancaster was modified and tested. Some of the people identified in the boardroom picture shown in the previous blog entry also turn up here. Go to Dom’s Photobucket site for the full article.